Snap & Pairs... making learning fun. 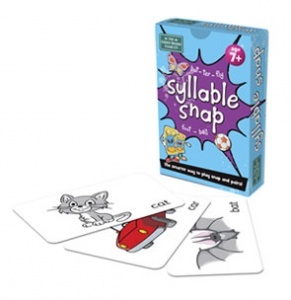 Syllable Snap is a great way to learn about syllables and the english language through this delightful deck of cards. Play two family favourites, Snap and Pairs using early-years recognition concepts. When playing Snap with this fantastic deck of cards you are trying to snap cards with the same amount of sylables. In order to play Pairs, simply turn all the cards upside down and turn two over at a time to see if they match. If they do then you keep them, if not you turn them back face down. 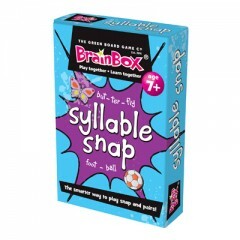 The aim is to be the first to collect all the cards, creating two fun games in one!